Karina's Kreations: Butterfly Gala Swap Card! 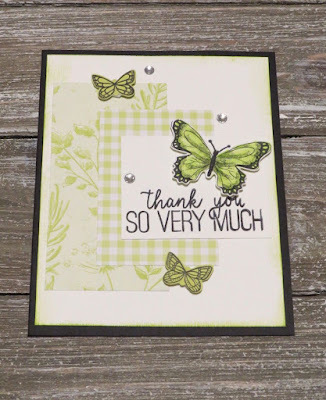 I wanted to share one more card made with the Butterfly Gala stamp set and Butterfly Builder Punch. I got this cute swap card at the Creative Day event on Saturday. Please let me know who made it so I can give you credit. 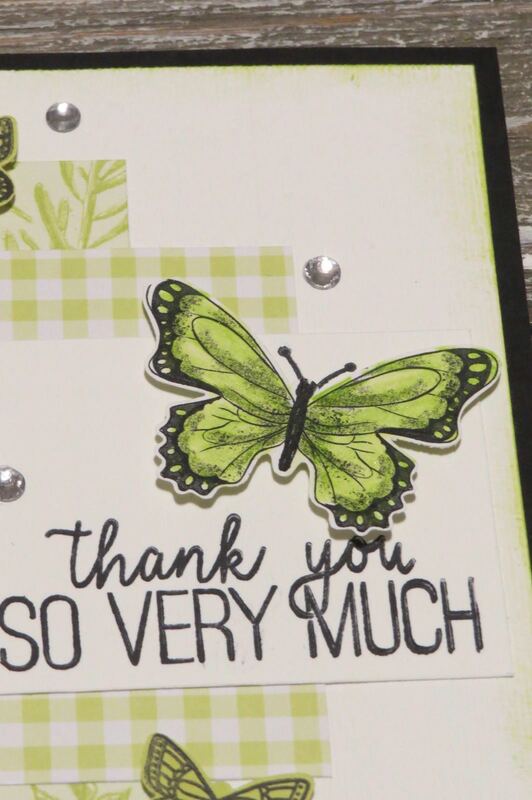 I really like the pretty and simple design and how the stamper used the FREE Botanical Butterfly Designer Series Paper and the Gingham Gala Designer Series Paper. She added some Wink of Stella to the butterfly wings but it doesn't show on picture. 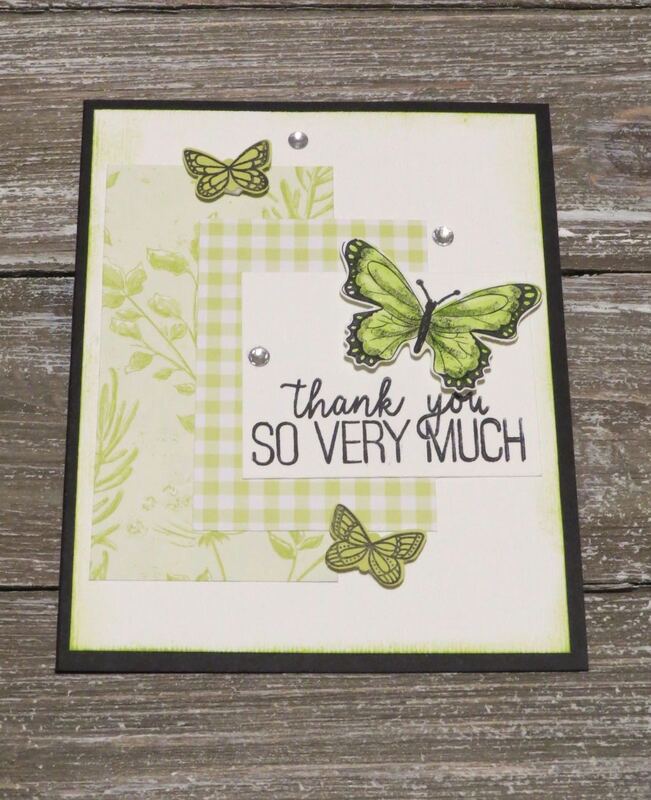 To order any of the supplies to make this card, just click on a picture below.